A week straight of rain here. Ugh. 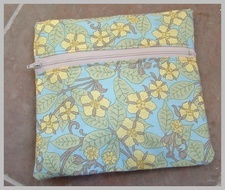 I tried to make the most of being inside by working on a new bag pattern. I wanted to try a new shape, and I'm fairly pleased with the end result, except for the size. This bag is SO tiny! 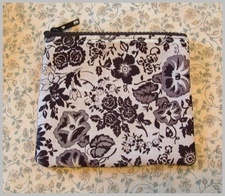 But I love this vintage fabric, and have plenty left. 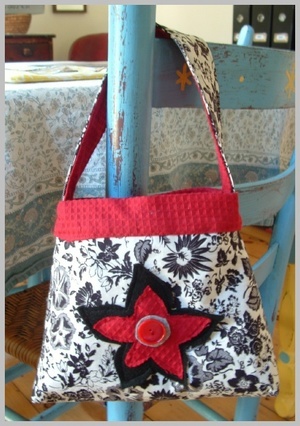 So expect to see a mama size version of this handbag soon! #1 is a little one to match the new bag! (I'm all about matching! 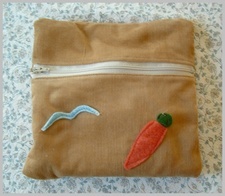 ); #2 the carrot pouch is from Calvin's drawing and to go with the bag we made last week; #3 um, a pouch! 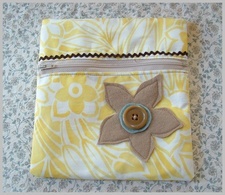 ; and #4 from an old pillowcase, and using a sweet vintage button from Amy. My plan for all of these is to make them the beginnings of a Christmas - Solstice gift pile. I'm thinking that with the boys and a new babe in the fall, I won't be getting much sewing done. So, family and friends...look here quick and then erase these images from your heads! !